Pre-exposure prophylaxis (PrEP) may cause a loss of bone density in the young men who take them. However, there are alternative treatments including behavioral modification that could also provide protection from HIV infection to high-risk individuals. PrEP is, according to the Centers for Disease Control and Prevention (CDC), “a way for people who do not have HIV but who are at a substantial risk of getting it to prevent HIV infection by taking a pill every day.” PrEP pills contain the tenovir disoproxil fumarate (TDF) and emtricitabine (FTC) combination that is also used to treat HIV after infection. In addition, according to AIDS.gov, “gay and bisexual men are more severely affected by HIV than any other group in the United States.” This is why many PrEP studies focus on young men who are more likely to engage in risky sexual behaviors. The CDC estimates that PrEP may reduce the risk of infection in high-risk individuals by up to 92% if the treatment is taken consistently. Craig Wilson, MD, a professor of epidemiology at the University of Alabama Birmingham School of Public Health, presented his findings on bone density loss due to PrEP at the 2017 Pediatric Academic Societies Meeting (PASM) in San Francisco, California, May 6-9. 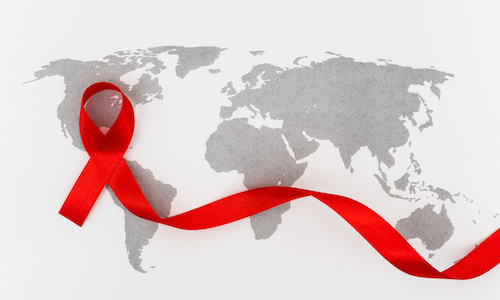 These findings were initially presented at the 2016 AIDS Conference in Durban, South Africa. Dr. Wilson and his team conducted the study on 18-to-22-year-old males. This is an ongoing extension of a study in the Adolescent Trials Network (ATN) that involved a larger group of adolescent males ages 15 to 22. Dr. Wilson went on to say that there are alternatives available to these PrEP treatments. He added, “None of this precludes the concept of using these drugs in this population,” although he did suggest that more follow-up on the study group is needed. However, there are “new drugs that lessen the impact on bone” that are much more expensive than TDF and FTC. In 2013, the European Review for Medical and Pharmacological Sciences published a study indicating that vitamin D deficiency is “highly prevalent among HIV-positive subjects,” speculating that supplementing these patients with vitamin D could help prevent comorbidities. Dr. Wilson noted that, at present, a group is “rolling out protocols for a vitamin D supplemental therapy study” in Thailand to investigate how this type of supplementation may function as a protection against HIV. Since vitamin D also affects bone health, PrEP regimens could possibly be more effective with this supplementation although vitamin D has not been directly linked to HIV-infection prevention, he said.